The Benromach Distillery Company, has today announced the launch of a new limited-edition expression, to celebrate 20 years since production started at the distillery, following its refurbishment and reopening in 1998. This latest release from the Forres based distillery, is said to epitomise Benromach’s classic style. It has an exceptional vintage character, with rich fruits, fresh citrus and charred oak with subtle spice and a light touch of smoke on the finish. Benromach 20th Anniversary bottling, comes presented in a special Benromach bottle, nestling in an elegantly lined wooden box. It also features copper detailing, reminiscent of the distillery’s two copper pot stills. 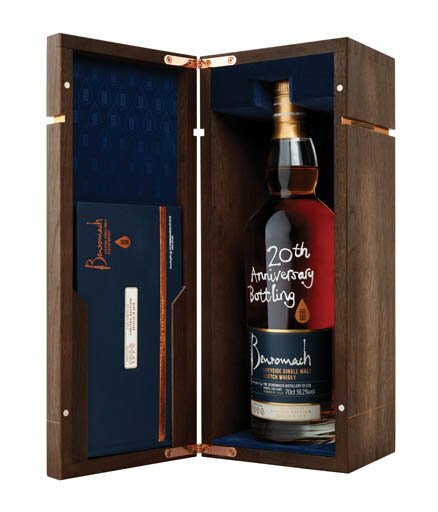 Limited to just 3,000 bottles, Benromach 20th Anniversary bottling, will be available from specialist retailers, for a RRP of £299.